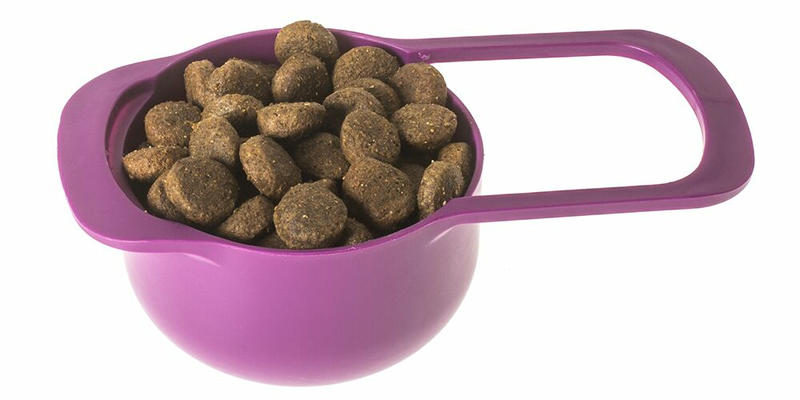 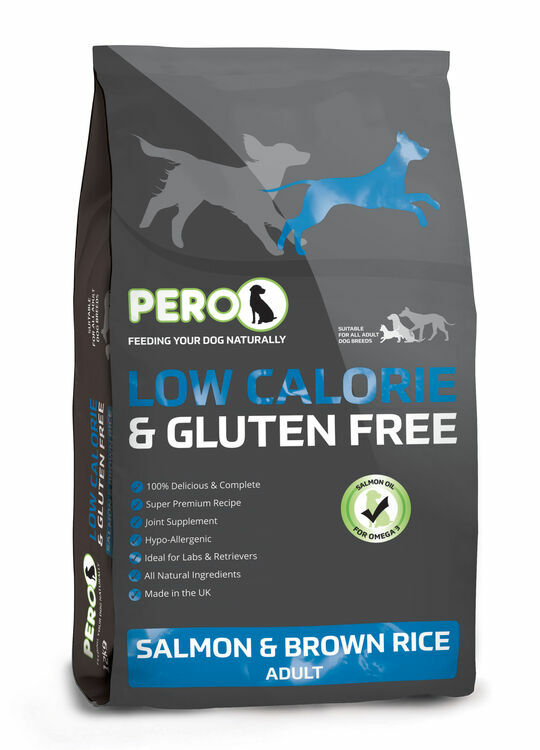 Specially designed for dog breeds that struggle with maintaining a healthy body weight, the Pero Low Calorie Dog Food contains 15% less fat that similar products available. 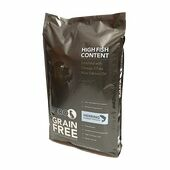 Enjoyed by Labradors and Retrievers, the dog food contains over 35% fish in order to provide your dog with optimum nutrition. 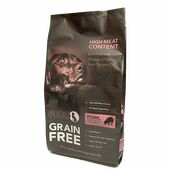 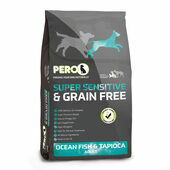 A wheat, gluten free recipe, the mix is ideal for dogs with sensitive skin or digestive system. 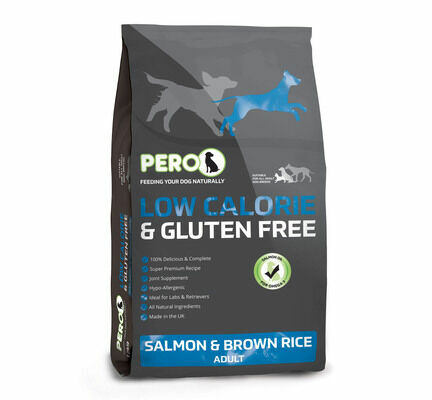 A high level of omega 3, herbs and extracts ensure a healthy coat and skin, making Pero Low Calorie a complete and super premium food for your dog. 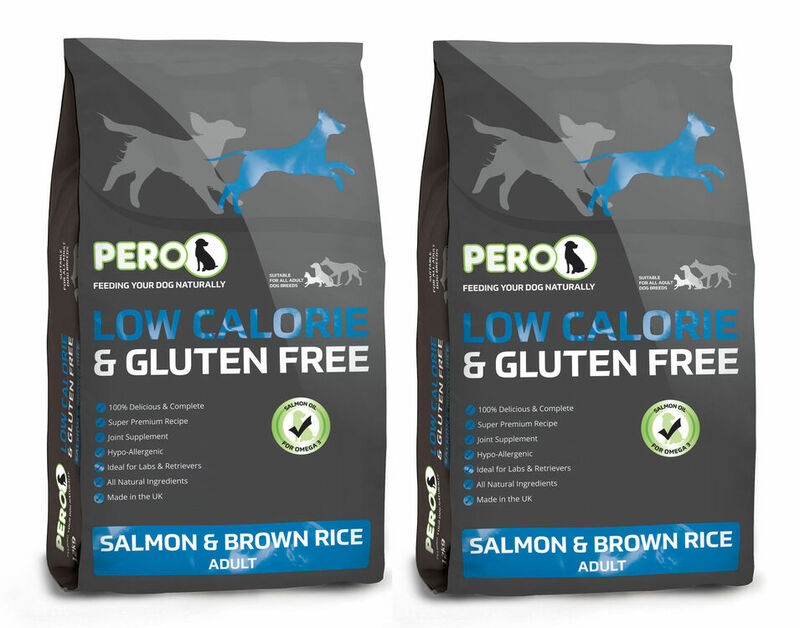 Composition: Brown Rice (40%), Fish (33% - Salmon Meal 14%, Fish Meal 8%, Hydrolysed Salmon 11%), Beet Pulp, Salmon Oil (5%), Sweet Potato, Flaked Potato, Chicken Gravy, Minerals, Krill, Glucosamine (175mg/kg), Chondroitin Sulphate (80mg/kg), Cranberry (80mg/kg). Additives (per kg): Vitamins: Vitamin A 15,000 IU, Vitamin D3 2,750 IU, Vitamin E 100 IU, L’carnitine 100mg. Trace Elements: Zinc Chelate of Amino Acid Hydrate 33mg, Zinc Oxide 132 mg, Iron Sulphate Monohydrate 167 mg, Manganese Oxide 32 mg, Cupric Sulphate Pentahydrate 60 mg, Calcium Iodate Anhydrous 3.28 mg/kg, Sodium Selenite 0.22 mg. Antioxidants. 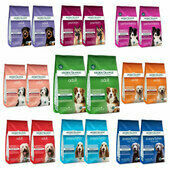 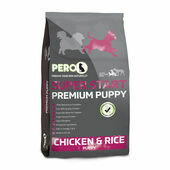 excellent nutrition, my black Labrador has such a beautiful coat people are always commenting on it.